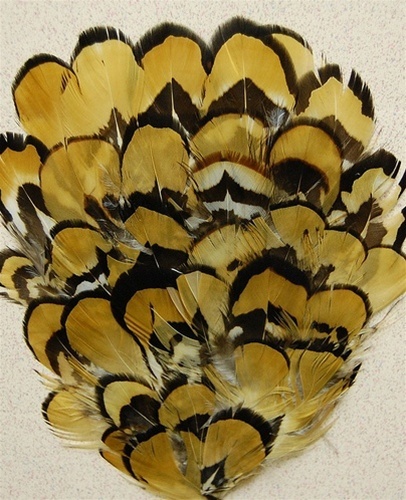 Pheasant Reeves Golden Pad. A nice Light Gold feather with some black Iridescent tipping. Used in Millinery for many years.Also can be used in Headbands, Crafts, Fashion and many various accsesories. Sold by the DOZEN only.